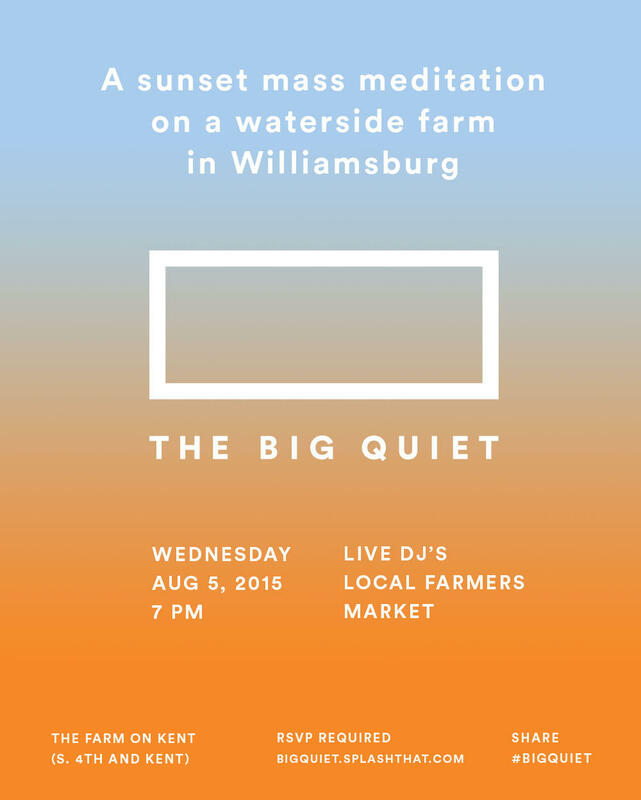 The Big Quiet is a mass meditation movement for modern people. We host giant moments of silence in unique spaces and places - designed for people with any level of meditation experience. Through crowd-promotion and collaboration, our community makes the Big Quiet a reality. At this event we'll be providing a simple meditation technique for newcomers or those interested in trying something fresh. Join the Big Quiet mailing list here. The big quiet is a creation of Medi Club. Join hundreds of modern New Yorkers for a shared moment of meditation as the sun sets over the NYC skyline. It's happening at the former Domino Sugar Refinery - now the Farm on Kent. RSVP below with a donation of your choice to the farm ($1, $5, $10). Doors 7pm; Meditation 7:30pm.